Bldg Size: 14,580 Sq Ft. Lot Size: 12,653 Sq Ft. The Hesby St Apartments consist of a well-maintained 19-unit building located in the heart of the NoHo Arts District in North Hollywood, California. The subject property is situated on Hesby St just east of Lankershim Ave and three blocks south of Magnolia Blvd. 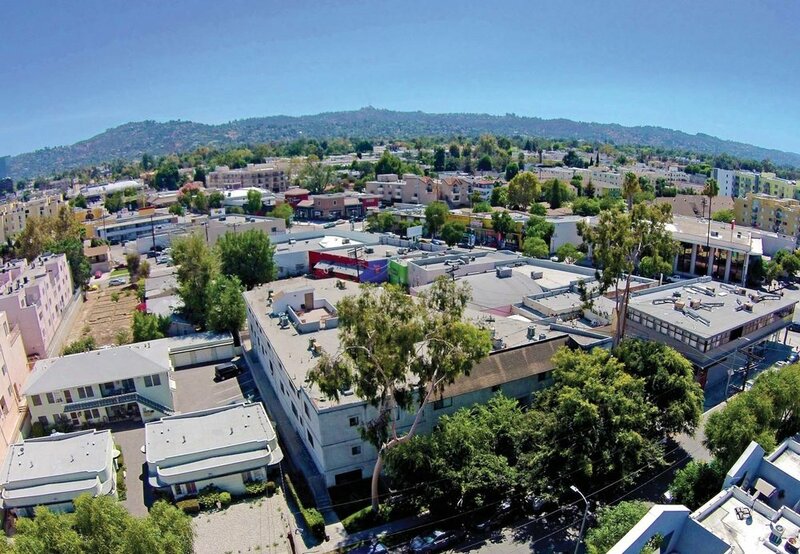 The investment property consists of a 3-story wood framed stucco non-rent control apartment building built in 1986 on a 12,653 square foot lot. The total rentable square footage is approximately 14,580. The building offers a favorable unit mix comprised of one single, ten 1+1 units, and eight 2+2 units. Select units have been upgraded with hardwood floors and granite/quartz countertops in the kitchens and bathrooms. All units come with a dishwasher, stove/oven, microwave oven, and central heating/air. The on-site laundry room has been renovated to include three washing machines and four dryers. The property has thirty-two on grade parking spaces. Hesby St Apartments is just a 5-minute walk to the Metro Stations for the Red Line subway station and the Orange Line busway. Both lines have made the neighborhood into a regional hub for the San Fernando Valley.